Deacons 2011 Season Recap and Highlights The 2011 season is over and what a great year for all the Teams. 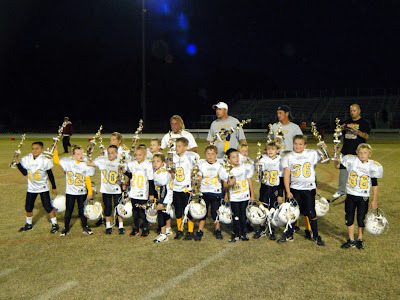 The A, B and Flag went undefeated with 8-0 records including the Bowl Championships. The C Team gave it there all over coming a 0-2 start finishing 2nd in the regular season and runner-up in the Bowl Championship. Below is the 2011 Season Highlight Reel to recap all the memories of this outstanding season. ATYF Deacons C Team 2010 Season "The Boys of Fall"
Deacons C Team 2010 Bowl Champions Congratulations to the Deacons C Team as they won the 2010 Bowl Championship 14 - 8 over the Tarheels.